The 1st episode in our newest podcast. TSG Pressbox, an NFL 32 style podcast dealing with all the goings on in Madden 15 & TSG. This podcast is hosted by BoRaiders & features a panel of ORIG1NAL HAWK, Mr Mckay21 & x7xJay Killax7x. In this episode they talk about overrated & underrated players & teams, along with their thoughts on Season 1 Division winners. Make sure you hit the like button on youtube & subscribe on itunes (click here to subscribe). 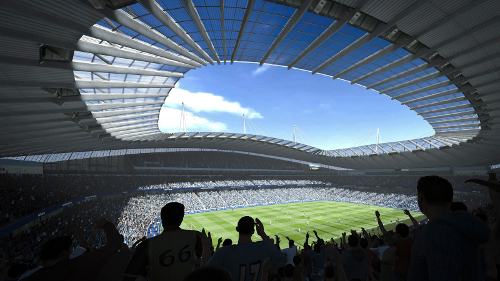 EA Sports is ready already to support the 2011 NFL season – and the release of Madden NFL 12. A 60-second spot shows action from the video game interspersed with shots of players including Jared Allen, Tim Tebow, Mark Sanchez and Ray Lewis, taking about how they are ready to get “Back to Football.” “My ultimate reward to my fans is to give 110%,” says Lewis. “It’s been too long without football,” offers Sanchez. “Let’s go do this,” states Allen. Check out the video below & feel free to leave comments.